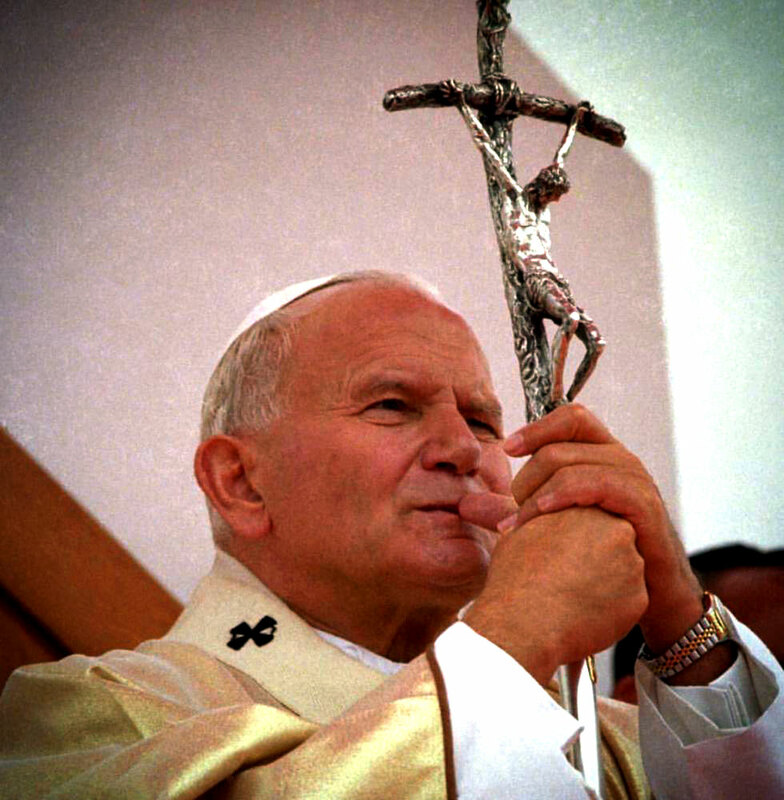 In the photos below we see Pope John Paul II, wearing his two-tone Rolex Datejust on a Jubilee Bracelet. 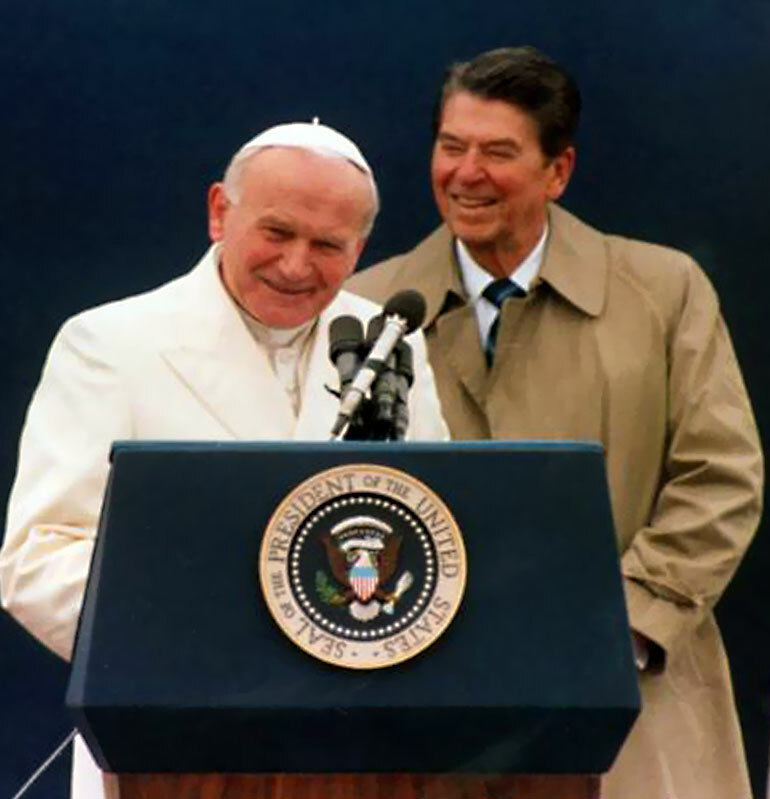 In this next photo we see Pope John Paul II and U.S. President Ronald Reagan making a speech. 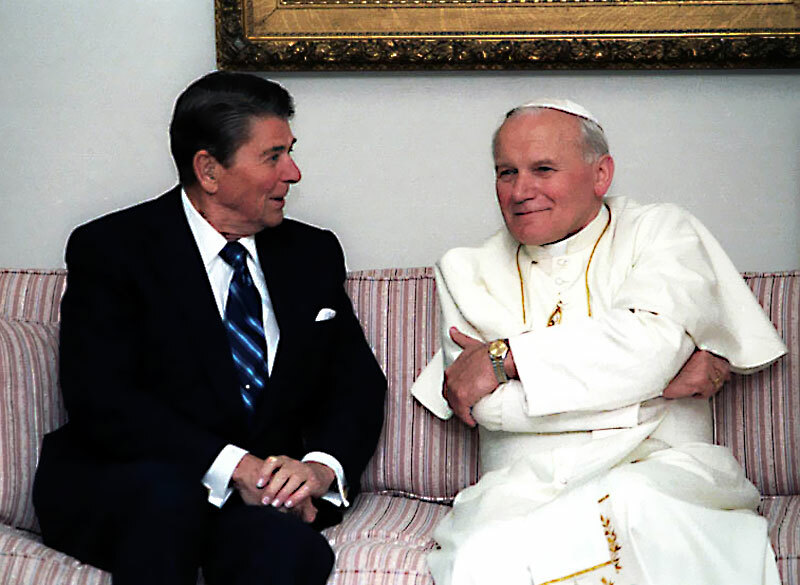 In the next photo below, we see Pope John Paul wearing his two-tone Rolex Datejust, as he sits next to President Ronald Reagan. It is interesting to note that Ronald Reagan also wore a Rolex Datejust. 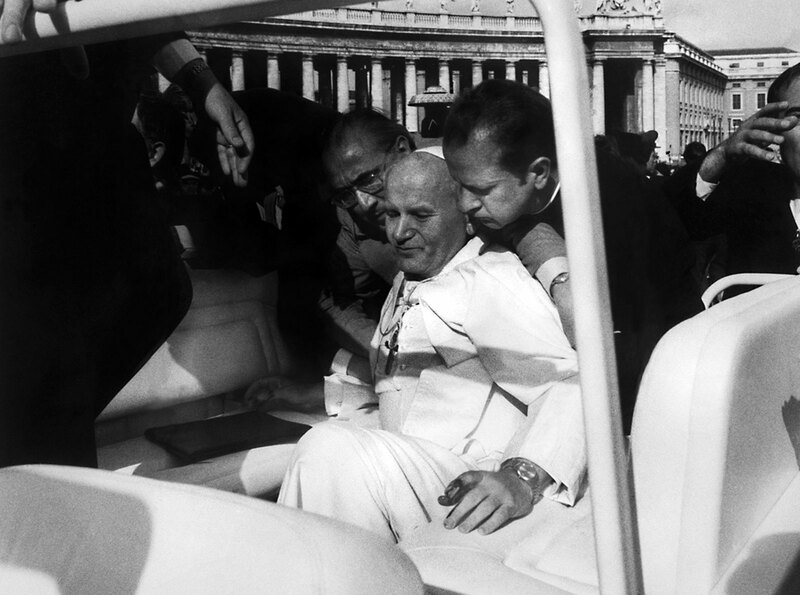 In this next photo below, we see the Papal Father just after an assassination attempt was made on his life on May 13, 1981 as he entered St. Peter's Square. 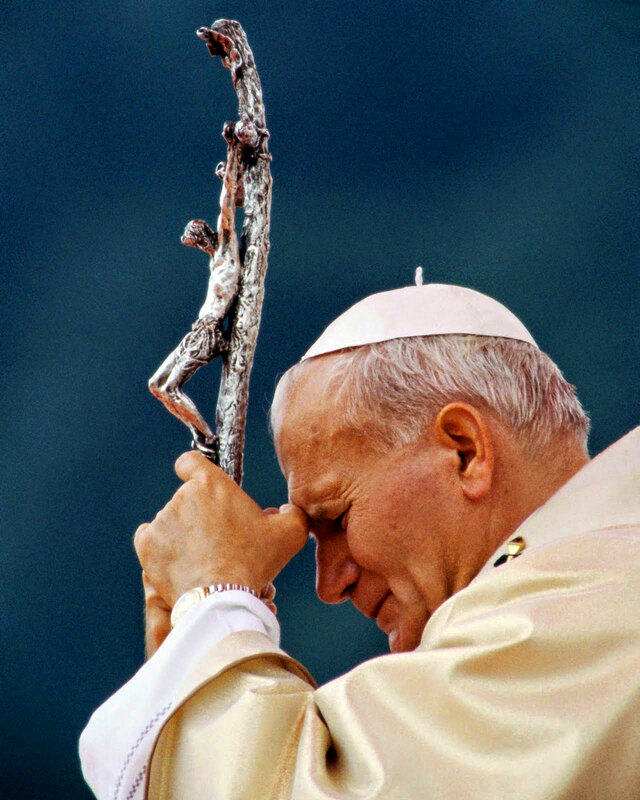 Notice he is wearing his two tone Rolex Datejust. 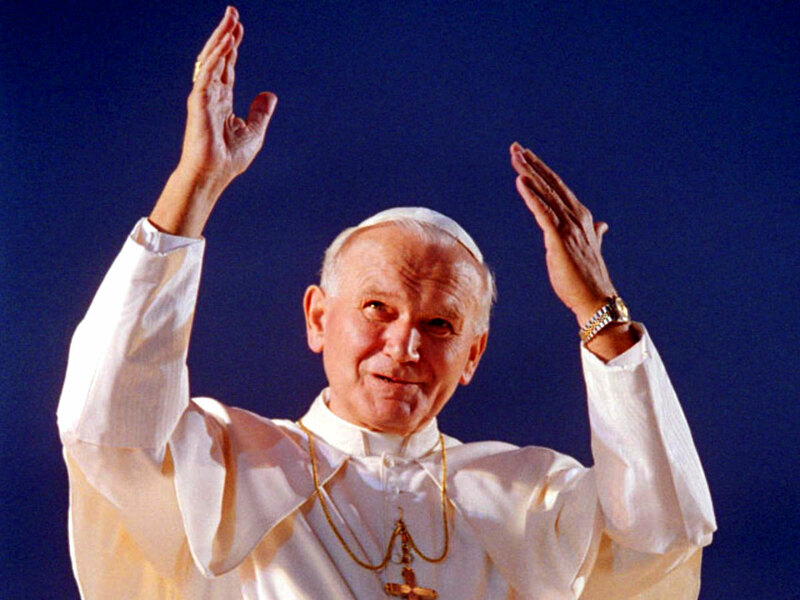 It is also interesting to note that in the photo above, that both Ronald Reagan and Pope John Paul both not only wore Rolex Datejust models on a Jubilee bracelet, but they both also were shot at close range in assassination attempts that occurred within 43 days of each other in 1981. Dr. Martin Luther King was also wearing his Rolex Datejust when he was assassinated. 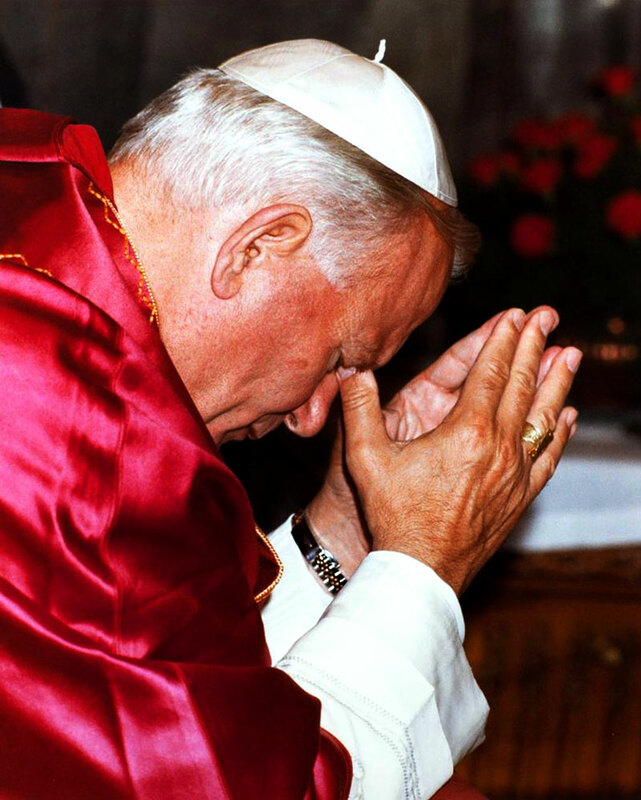 Pope John Paul and Ronald Reagan, both, in many ways symbolized the 1980s generation, and both passed away within a year of each other in the mid 2000s. 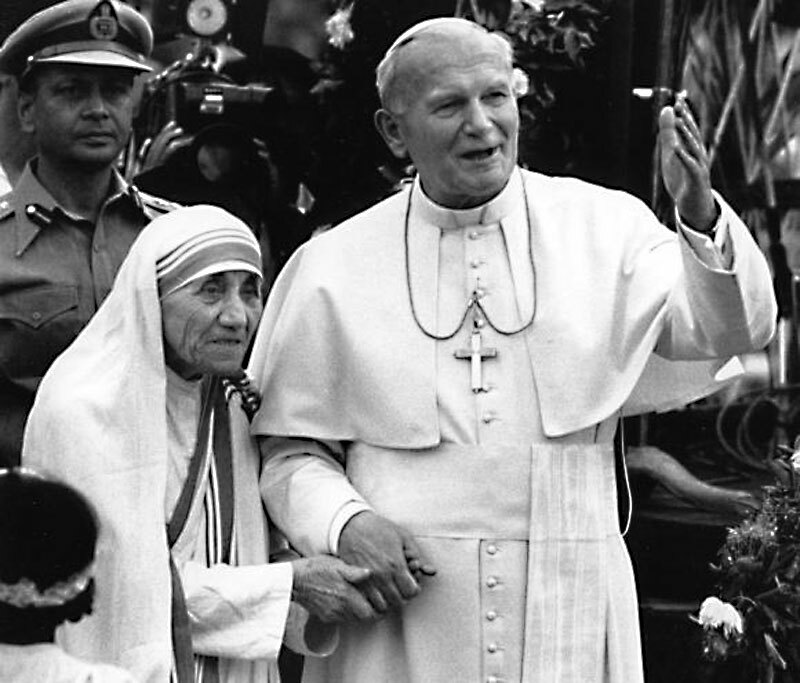 Pope Paul completely recovered and is pictured below with Mother Theresa. I think they were both very kind souls.